If you’re ‘into’ watches, it’s easy to fall into a perception that a higher price naturally equates to higher value and quality. 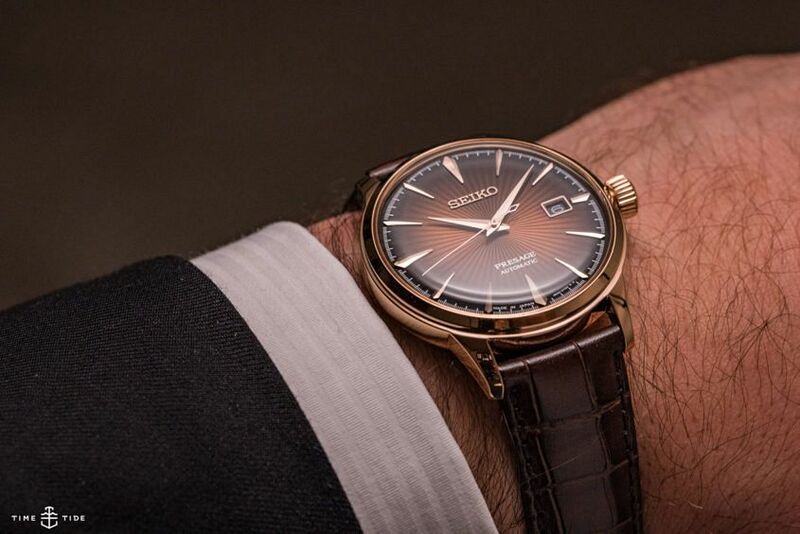 However, Seiko’s colourful and decidedly wallet-friendly Presage Cocktail Time turns these assumptions on their head, with a RRP well south of $1000 and a wrist presence that can compete with watches 10 times the price. Simply put, the Cocktail Time is a winner because it’s fun, and that’s mostly down to the dials. 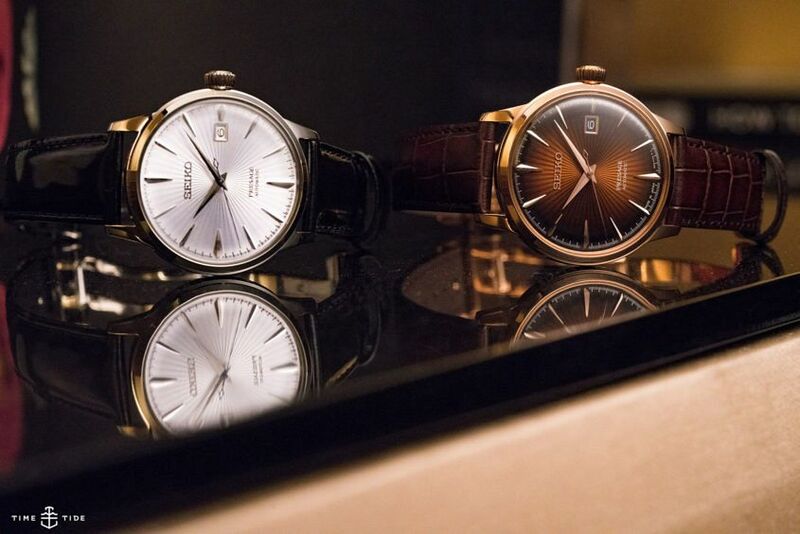 Take that away and you have a well-priced 40mm steel dress watch. Nice, but unremarkable. The Cocktail Time takes classic dressy tropes and turns the fun factor all the way up. There are bright colours, interesting textures, reflections and a dazzling play of light. 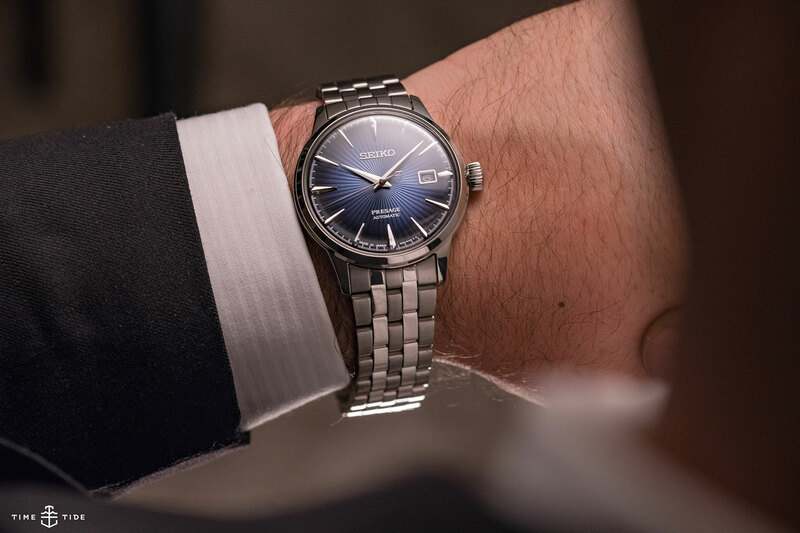 The only way this watch could be more of a party would be if Seiko popped an actual disco ball on the wrist (I wouldn’t put it past them). And, of course, the cocktail association doesn’t hurt the cause either. Seiko has smartly made the boozy link explicit, matching the icy-blue dial with a Sky Diving, the brown with a Manhattan, and the deep blue with a Moonlit Night (more on this later), allowing you to identify with your favourite in a much tastier manner than the old SRPB reference number. Of course, if the Cocktail Time was all style and no substance, the aftertaste would be somewhat bitter, but for the ticket price you get a remarkably solid package. 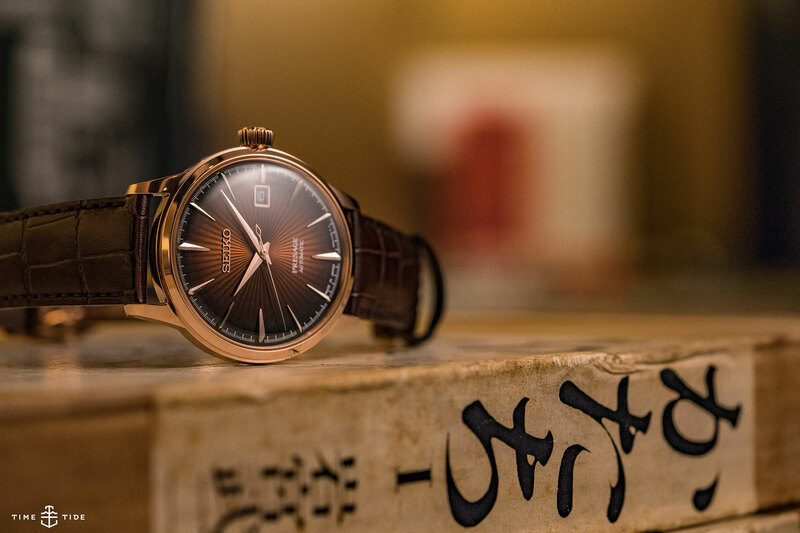 The 4R35B movement is fairly basic but it definitely does the job, and, if you’re new to mechanicals, there’s still a lot to be fascinated by. The strap and bracelet are solid enough (though there’s clearly been some cost saving, for example on the folded end links on the SRPB41), and the overall case construction is good. For me, the Presage Cocktail Time has been one of the surprise hits of the year. 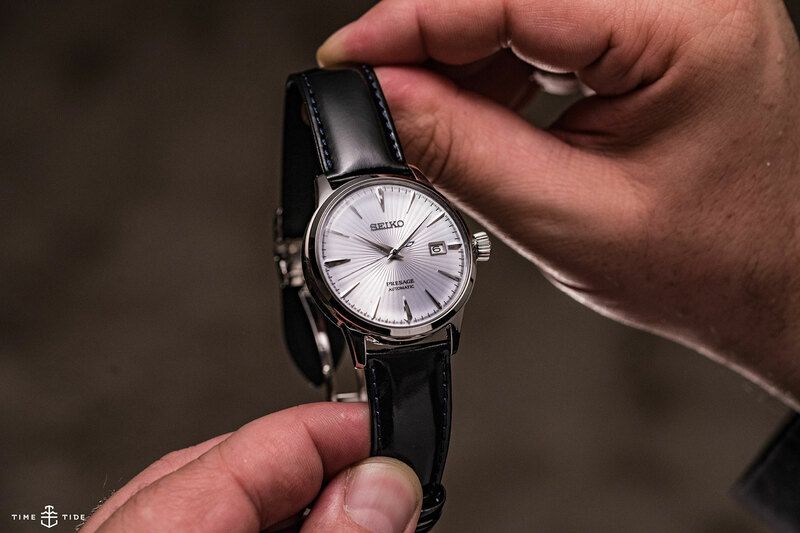 It’s a fun, playful watch – a refreshing change in the oh-so-serious watch industry – with a dial that really shines. Plus, it’s priced so well there’s no reason why you shouldn’t have one in your roster. NOTE: The video lists the price for the SRPB43 as $850, the correct price is $650.